Our clientele includes work with various ministries of GoI, media agencies, and varied sectors. We regularly interact with management students through guest lectures and seminars. We have been Knowledge Partner for numerous events such as case study competitions, seminars at Amity University, Delhi University, Narsee Monjee and so on. 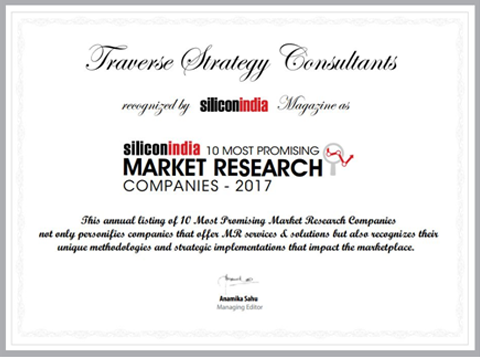 As the Founder of Traverse Strategy Consultants - a firm listed among the "Top 10 Most Promising Market Research Companies in India, 2017", Anupam is responsible for running all facets of the business. He has a proven executive management track record and over 14 years of experience driving sales growth in the firm. His experience includes working for clients in the Media, Automotive and Healthcare sectors along with pro-bono consulting for NGO’s. Anupam in the past has had the opportunity of working with Bharti Airtel, Wipro, and Evalueserve and was also the founding partner of a technology start-up. Anupam has often been invited to speak at forums and seminars at various institutions such as ‘Amity Business School’ and has been quoted in print media such as "Siliconindia 2017", "BW Businessworld 2017", "BW Education 2017" & "Pitch-The face of Marketing 2015" magazine. He has also been a part of several jury panels for academia as well as corporate events. He has co-authored "RENVOI - Business Management Cases", a book(ISBN: 978-1-4828-8840-9) compiling business management case studies. He has also been published by Pezzottaite Journals having co-authored a research paper titled "EXPLORING OMNICHANNEL SHOPPER BEHAVIOUR AND RETAILER MIND-SET". Anupam has also co-founded Decode Research and Analytics & serves on the Board of Directors of a Joint Venture enterprise in Dhaka, Bangladesh. He is also on the Mentor Expert Board of BW Businessworld Accelerate Programme. PhD Scholar || MBA Gold Medallist and Scholarship Awardee. 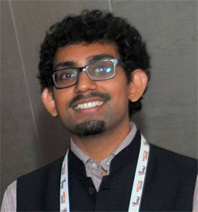 Havish leads a team of analysts at Traverse, and spearheads all research work. 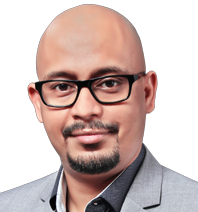 At Traverse, he has created models for Brand Ranking, CMO Ranking and Experiential Marketing. He is also a Corporate trainer in quantitative analysis - Advanced MS Excel, Google Sheets and SPSS. He is active on Microsoft Community Excel Forums and Stack Overflow. 15+ Papers presented at conferences at IMT Ghaziabad, IMI New Delhi, IIT Roorkee, JNU etc. Acted as reviewer for IGI Global. As the head of Business Development at Traverse Strategy Consultants ,Nakul comes from a sales background and is responsible for ensuring the smooth flow of business. 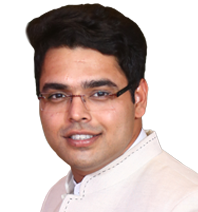 Nakul in the past has had the opportunity of working with Bharti Axa GIC Ltd. He has worked on several market research projects in the governance and political space.